Batman has met his fair share of secret societies over the years, but none have had quite the same impact on the Caped Crusader as the League of Assassins. Under the guidance of the eco-terrorist Ra's al Ghul, the League has been a thorn in Bruce Wayne's side since 1971, when Ra's' daughter Talia came running to Batman for help. Over the years, Ra's, Talia, and the League of Assassins have unleashed deadly plagues on Gotham City, used Batman's own plans to take out his allies, resurrected Batman's former sidekick Jason Todd in one of their life-giving Lazarus Pits, and even given Batman a son—Damian Wayne, the current Robin. But League of Assassins is much, much bigger than just Batman, and like any criminal syndicate worth its salt, the League has plenty of secrets left to uncover. 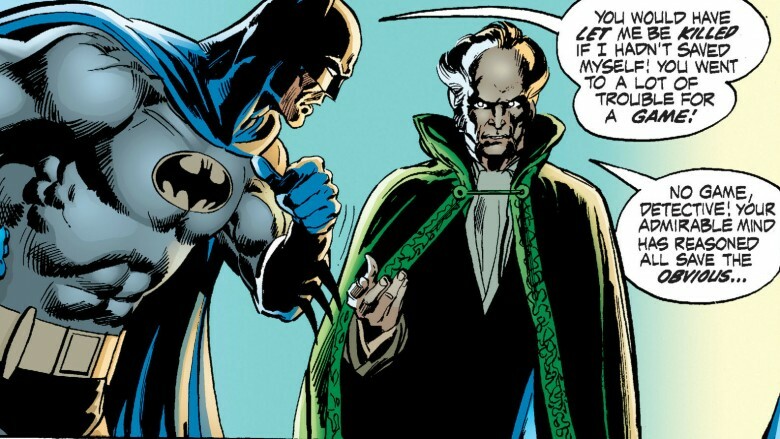 That's right: while the League of Assassins is most commonly associated with Batman (and, to a lesser extent, Green Arrow, thanks to the major role the League played in Arrow's third season), Ra's al Ghul didn't grace the pages of Batman until 1971—nearly three years after the League first debuted in a Deadman comic, of all places. Strange Adventures #215 opens with Deadman standing in front of a corpse, complaining that the crook he was after died before he could face justice. Deadman follows the killer, Willie, to Hong Kong, where he discovers that they're both after Hook, the assassin who murdered Boston Brand and transformed him into Deadman. After a showdown at the Hong Kong docks, Deadman tracks Willie and Hook to the Guardian, an abandoned Buddhist temple houses the League of Assassins' secret lair. Observing from afar, Deadman learns that Hook murdered Boston as part of a League initiation ritual—but the League's leader, a master martial artist named the Sensei, doesn't think that Hook did a good enough job. Helpless, Deadman watches as the Sensei beats Hook to death with his bare hands, robbing Deadman of the revenge he desires. By the time Deadman recovers from his rage, the Sensei and the League have fled, leaving Deadman alone with Hook's corpse and no idea what to do next. While longtime Batman writer Denny O'Neil is usually credited with creating both the League of Assassins and its leader, Ra's al Ghul, he had some help. O'Neil wrote both Strange Adventures #215 and Batman #232, which introduced Ra's to the world, but he certainly didn't go it alone. 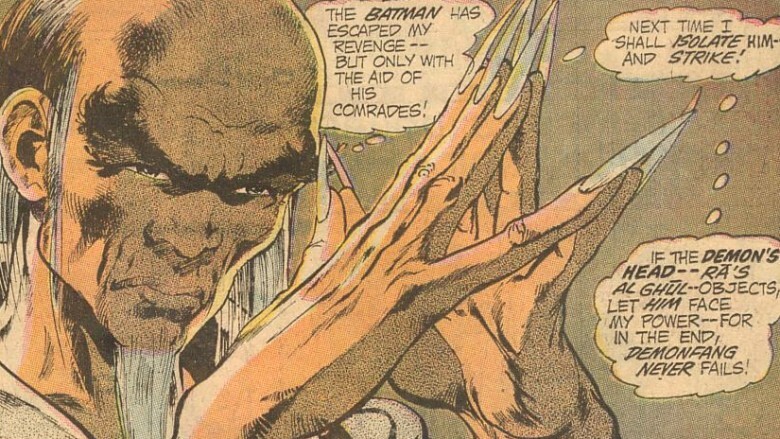 Artist Neal Adams designed Ra's' unique look, while venerated DC Comics editor Julie Schwartz is behind Ra's al Ghul's name. As O'Neil describes it, his first few issues of Batman lacked of colorful villains. When it came time to up the stakes and really challenge the Dark Knight, O'Neil and Schwartz decided not to repeat what came before by using an existing member of Batman's rogues gallery, and instead decided to make their own villain. Schwartz gave O'Neil the name Ra's al Ghul, and O'Neil went home to create the next great Batman villain. Interestingly, while some critics have noted that Ra's al Ghul's resembles Fu Manchu and James Bond's larger-than-life antagonists, O'Neil didn't rely on either while bringing Ra's to life—at least, not on purpose. "I'll swear on any document that you want that I only once lifted something consciously," O'Neil says, when asked about his influences. "I was not conscious of those similarities until they were pointed out to me 40 years later. It's a common enough idea." In fact, O'Neil says that he's never read any of the Fu Manchu novels, although he admits to being a big fan of Ian Fleming's Bond novels, and he doesn't rule out the possibility of a little "subconscious lifting." Believe it or not, the League of Assassins isn't Ra's al Ghul's only secret organization—it's just the muscle for a larger criminal syndicate. As the opening to Justice League of America #94 says, "It has been whispered for 500 years that a cartel of criminals has slowly sucked its way into the rich veins of the Earth. Many are its names spit from the mouths of men, but most often it is cursed only as… the Demon!" The narrator goes on to explain, "It has a leader… a head… but the Sensei guides its power, its League of Assassins, which is known in terror as Demonfang." Given that Ra's al Ghul literally means "The Demon's Head" in Arabic, it's not too hard to figure out who he's talking about. 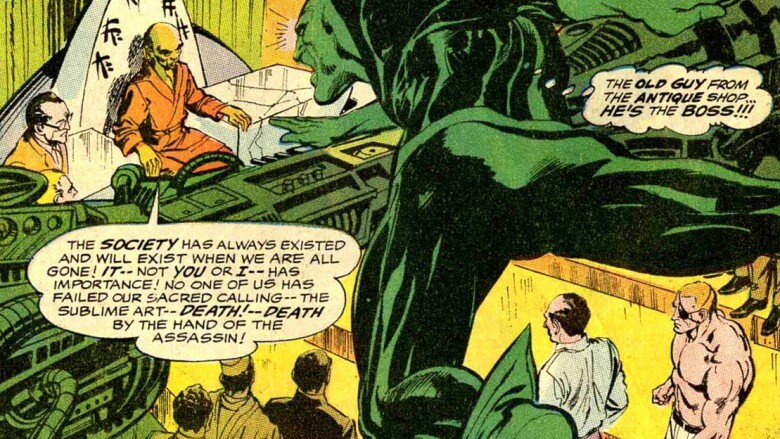 The members of the Justice League don't meet the Demon's Head in Justice League of America #94, but the story goes on to confirm that, yes, it is indeed Ra's al Ghul who's running the Demon behind the scenes. When the Sensei charges Malcolm Merlyn, one of the League's alumni, with tracking down and killing Batman, Merlyn mentions that the Demon's Head is already suspicious of the League following former member Dr. Darrk's attempt to kidnap Talia al Ghul, Ra's' daughter. Merlyn is right to worry, too—as time goes on, the Sensei loses both his power and his mind, and eventually Ra's al Ghul kills him and assumes direct command of the the League. 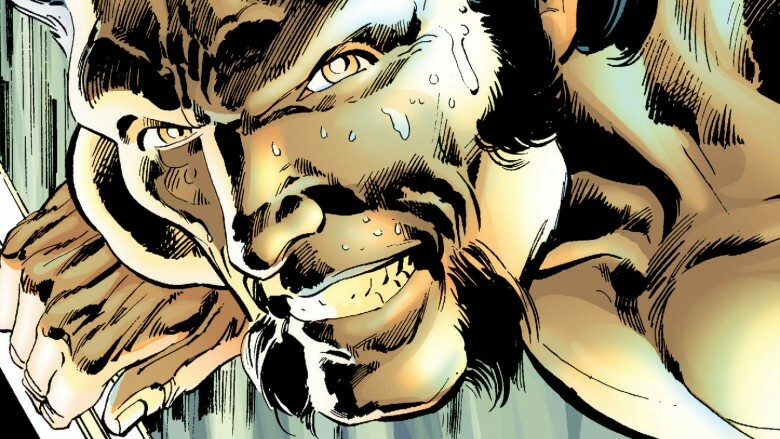 Before Ra's al Ghul was the head of a worldwide criminal conspiracy, he was a physician—and a happy one, too. Around the time of the crusades, had a wife, Sora, and enjoyed a cushy life as the Sultan's doctor, giving him the freedom to help out both the rich and poor alike. Naturally, Ra's' idyllic life didn't last. When the Sultan's son falls ill, Ra's is charged with healing him. The solution—the Lazarus Pits, which heal injuries and disease and keep its users supernaturally young—comes to the young physician in a dream, and before long Ra's has built the very first Lazarus Pit out in the desert. However, neither Ra's nor the Sultan are prepared to deal with the Pit's side effects: after emerging from the bubbling green liquid, the prince is completely insane. In his Lazarus Pit-induced madness, the prince lunges after Sora, killing her. Unable to admit that his son is a monster, the Sultan pins the crime on Ra's, and condemns the physician to spend the rest of his life in a cage with his wife's corpse. Ra's escapes and joins a pack of nomads, sneaks into the palace and kills both the Sultan and his son, and then sacks the entire city. 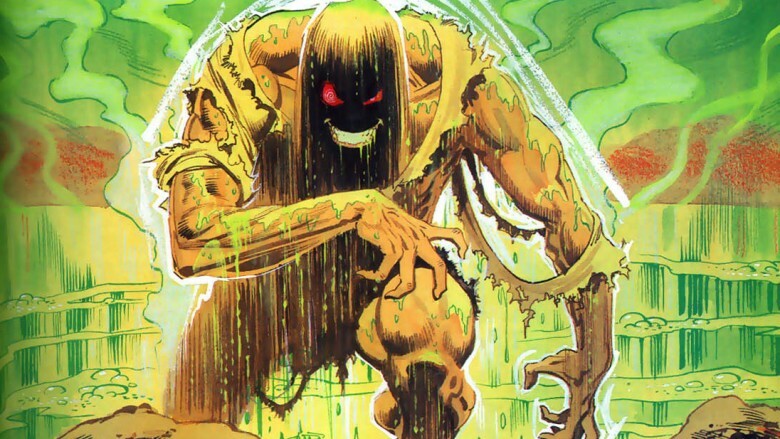 Unfortunately, too much time around the sick prince leads Ra's to come down with the same disease, forcing him to use the Lazarus Pit himself. Ra's emerges healthy and whole and a little bit crazy, and thus, the Demon's Head is born. Ra's al Ghul's daughters, his heir Talia and her half-sibling, Nyssa, get a lot of attention—after all, it was Talia, not Ra's, who brought the League of Assassins into Batman's life in Detective Comics #411. His love interests, not so much. Given how much Ra's cares about his legacy (one of his major beefs with Batman is that he thinks Bruce Wayne is the only man fit to marry Talia and take over the League of Assassins, but Bruce won't commit), it's interesting that he rarely talks about one of the most influential women in his life: Talia's mother. Maybe it's just a sore subject. After all, there are two different stories that reveal Talia's mother's identity, and both end in tragedy. In Batman: Son of the Demon, an out-of-continuity graphic novel by Mike W. Barr and Jerry Bingham, Talia's mother is called Melisandre, and died when an assassin threw her in a Lazarus Pit. In Ra's' official backstory, told in Denny O'Neil and Norm Breyfogle's Birth of the Demon, Talia's mother met Ra's al Ghul at Woodstock. She later died of a drug overdose. Oddly, while Talia notes that while Ra's could've saved her mother, he "chose not to." Talia never explains why, although Batman has a theory: Ra's "probably found her unworthy." Given that just pages later Ra's rants about how the Earth has become tainted by chemicals, it seems likely that Batman's right: it's not a big stretch to imagine Ra's sees drug use as a form of corruption and weakness and decided that Talia's mother is better off dead. 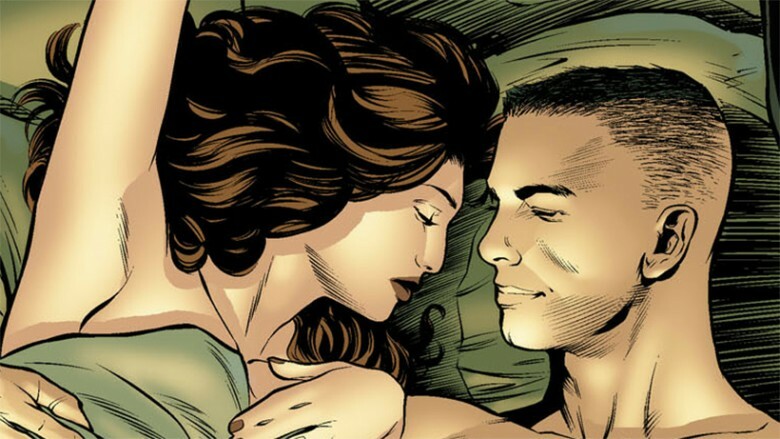 Of all of Batman's villainous love interests—Batman's been involved with Catwoman, Poison Ivy and Jezebel Jet, among others—his relationship with Talia is the one that progressed the farthest. After all, while Bruce has proposed to a few different women, he's actually been married to Talia—twice. But Batman doesn't define Talia, and over the years, she's had other suitors, including the man who broke the Bat. In Chuck Dixon and Graham Nolan's miniseries Batman: Bane of the Demon, Bane travels the world in search of his father when he crosses paths with Talia and the League of Assassins. Talia takes Bane home to meet Ra's al Ghul, where Bane bonds with both Ra's—although he's never seen a chessboard before, Bane proves to be an excellent player—and Talia, who sleeps with him to gain his trust. Talia and Bane team up to steal a journal containing the secrets behind a deadly plague, but Bane loses control during the mission and brutally murders Korba's soldiers. Disgusted, Talia breaks off their relationship. But Bane doesn't take no for an answer—once Talia and Bane return to the League's hideout, Bane captures Talia and tries to murder Ra's, hoping to take over the League of Assassins and claim both Talia and the Lazarus Pit for himself. Bane fails, but not before admitting that he memorized key pages from the journal and destroyed them, making Bane the only person who has the knowledge that Ra's seeks. Ra's is so impressed by Bane's strategy that he makes Bane Talia's fiance—and the heir to the League of Assassins. Sadly, Bane and Talia's relationship doesn't last. Ra's, Talia, and Bane head to Gotham to unleash the plague, but Batman defeats Bane in one-on-one combat, making Ra's renege on the engagement—and leaving a lovestruck Bane to shadow Talia for years to come. When director Christopher Nolan rebooted the Batman franchise with Batman Begins, the League of Assassins showed up in a big way. 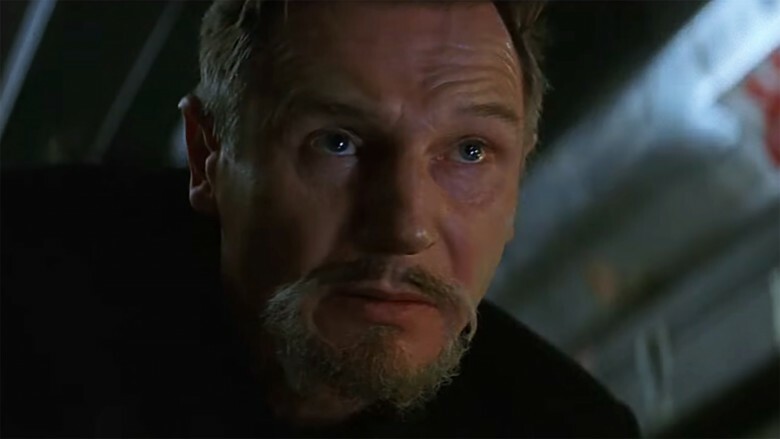 Not only was Ra's al Ghul and the League (renamed the League of Shadows) the primary antagonist in Batman Begins, but Talia made a surprise appearance as the big bad in The Dark Knight Rises, bringing the Dark Knight trilogy full circle. That's not too bad, especially considering that Nolan didn't even know what the League was when he started. As told in The Art and Making of the Dark Knight Trilogy, Nolan and screenwriter David Goyer decided that Batman Begins should avoid using villains that appeared in previous Batman films. Unfortunately, that didn't leave very many members of Batman's rogue gallery to choose from, and during the writing process Nolan and Goyer considered pitting Batman against B-listers like Calendar Man, Clayface, and Killer Croc. However, none of those characters seemed right. Eventually, as Goyer tells the story, "I told Chris that among the villains that hadn't been seen in features yet was one of my favorites—Ra's al Ghul. Chris asked, 'Who's Ra's al Ghul?' And I said, 'Funny you should ask…'"
Goyer and Nolan were looking for a character that could serve as both a mentor and a villain, and Ra's al Ghul fit the bill perfectly. "We loved the idea of Ra's teaching Bruce the fighting skills that he would use as Batman," Goyer says, "and since Ra's is the one who teaches Bruce those techniques, he recognizes them in what Batman does—and that's how he knows that Batman is Bruce Wayne." In 2004's Batman: Death and the Maidens, Talia and her half-sister, Nyssa Raatko, killed Ra's al Ghul and took the League of Assassins for themselves. But this is comics, where characters rarely stay dead—especially characters who recently starred in a major motion picture—and just a few years later, the multi-issue crossover "The Resurrection of Ra's al Ghul" brought the Demon back to life, while also uncovering some missing branches on his family tree. 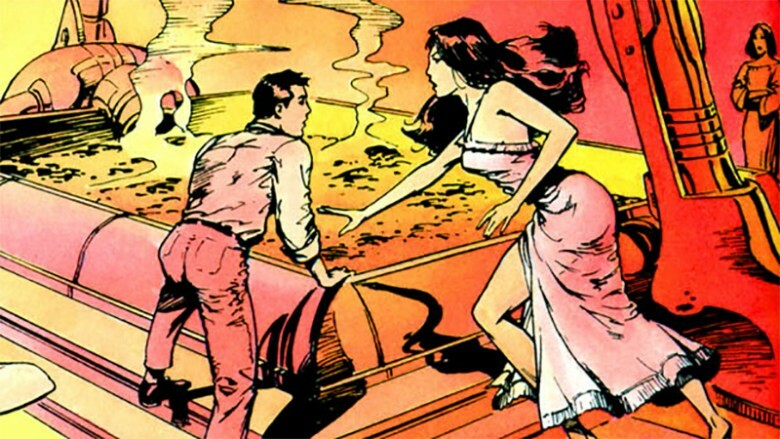 While Talia and Nyssa are important characters in both the comics and spinoff media (Talia appeared on Batman: The Animated Series and in The Dark Knight Rises, while Nyssa is a recurring character on the CW's interconnected superhero shows), Ra's al Ghul has other children, including a son named Dusan—better known as the White Ghost. In fact, it's the White Ghost who kicks the whole resurrection angle off when he tries to kidnap Ra's' grandson, Damian Wayne, in order to use his body as Ra's al Ghul's new vessel. Ultimately Batman and his friends track Ra's down again and stop the ceremony (a couple of times, really), and Ra's ends up stuck in the White Ghost's broken body. Naturally, Dusan doesn't survive the process. 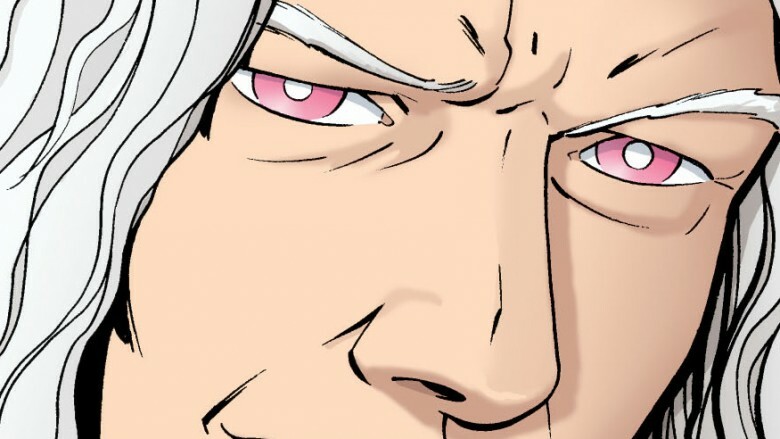 And if that isn't weird enough, a side plot reveals that the Sensei, the League of Assassin's former second-in-command, is actually Ra's long-lost father. The League of Assassins—including Talia and, in a brief cameo, Ra's al Ghul—made its animated debut in the Batman: The Animated Series episode "Off Balance," which set up the two-part episode "The Demon's Quest," an adaptation of two of Dennis O'Neil and Neal Adams' best League of Assassins stories. However, while the League might've been new, "Off Balance" wasn't the first time Talia's voice actor appeared in a DC Comics adaptation—although playing the villain might've taken some adjustment. In 1984, Helen Slater took to the big screen as Supergirl, and she's never escaped DC's orbit since. In addition to voicing Talia, Slater has also played Superman's birth mother Lara on Smallville and Superman's adopted mother on DC Superhero Girls, and she has a recurring role on the CW's Supergirl as Kara's foster mom Eliza Danvers. Of course, Ra's has some Kryptonian of his own in his past. In addition to featured roles in Titanic, Avatar, and various Star Trek projects, actor David Warner played Jor-El, Superman's father, on the '90s superhero-romance Lois & Clark: The New Adventures of Superman. Talia might be the number one al Ghul daughter in the comics, but on Arrow, it's all about Nyssa. Nyssa Raatko first graced the CW's "Arrowverse" all the way back in Arrow's second season, when she arrived in Starling City to search of her former lover Sara Lance, the first Black Canary and a former member of the League of Assassins. As the show goes on, Nyssa becomes a reluctant ally to Oliver Queen and his team, and even ends up assuming the mantle of Ra's al Ghul before disbanding the League entirely. But Arrow doesn't delve much into Nyssa's backstory, especially the identity of her mother, making Nyssa's past a fertile ground for side-stories like the Arrow: The Dark Archer digital comic. While The Dark Archer focuses mostly on the Green Arrow's nemesis, Malcolm Merlyn (which makes sense—The Dark Archer is co-written by John Barrowman, who plays Malcolm on Arrow and Legends of Tomorrow), Nyssa's mother, Lourdes, plays a huge role: she's not just the main bad guy in The Dark Archer, she's also one of Malcolm's former lovers. In The Dark Archer, Malcolm, Lourdes, and a team of archeologists take to the wilderness to discover a cache of cursed artifacts. Little do they know, however, that the League of Assassins is right on their tail. When Malcolm and Lourdes find the treasure trove, the League attacks. Malcolm escapes but doesn't take Lourdes with him, and the woman is captured by Ra's al Ghul and forced to serve as his concubine. Years later, when Ra's al Ghul is dead and Malcolm runs the League, Lourdes attacks, with Malcolm's son (and Nyssa's half-brother) by her side. Malcolm fights them both off, killing them in the process, but decides not to reveal Lourdes' identity to Nyssa—after all, Nyssa already wants Malcolm dead, and he has no reason to stoke the flames by admitting that he murdered her mother.